A refreshing apple cider blended with the fresh flavors of peach. 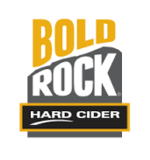 The Bold Rock Hard Cider Cellar at Chiles Peach Orchard is a casual and cozy Tap Room with all of our award winning hard ciders on draft. The location features a unique “Cider Garden” amongst the peach trees as well as plentiful picnic table seating and beautiful views of the surrounding mountains. The Hard Cider Cellar at Chiles Peach Orchard welcomes birthday parties and other fun events around 100 attendees or less.